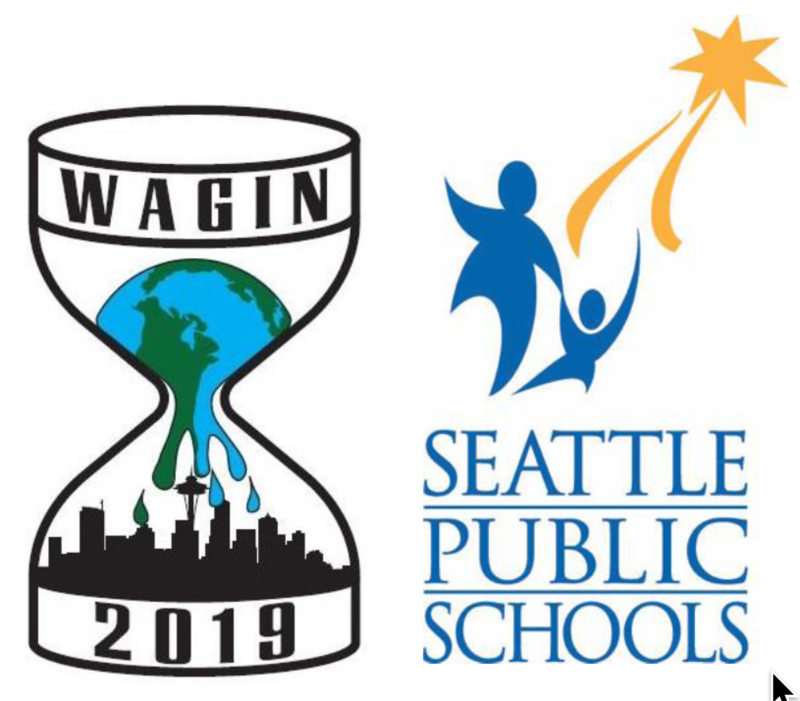 Students and teachers gathered at Chief Sealth International High School March 22-23 to begin the fourth annual Washington State Global Issues Network (WAGIN) Conference, a two-day international event led by local youth seeking to tackle global issues, learn together, and spark lasting change. The conference brings together over 200 middle and high school students from the Seattle area and three states (Colorado, Texas, and Florida), as well as four countries (Canada, Mexico, Cuba, and South Korea). The conference theme is “Action for Sustainability Now,” which focuses on immediate action students can take to make a lasting impact on issues like climate change, food security and racial justice. Students participate in the conference in teams and lead workshops in which they share what they are doing to take action on one (or more) of the twenty global issues outlined by the Global Issues Network. • Mia Eastman, Sierra Robinson, Marlow Baines, and Alex Trevino, who will represent Earth Guardians, an organization that provides young people leadership opportunities and tools to address the world’s most pressing problems. The conference was organized by a joint committee of students from Chief Sealth IHS and Ingraham IHS. The team collaborated with a group of over 20 other students and teachers. The conference was made possible through partnerships with several organizations and agencies including the Global Issues Network (GIN), Seattle Public Schools, the Foundation for International Understanding through Students (FIUTS), World Affairs Council, Rustic Pathways, the Confucius Institute of the State of Washington, IREX, and the U.S. Department of State. This project was made possible by an award sponsored by the U.S. Department of State’s Bureau of Educational and Cultural Affairs (ECA), with funding provided by the U.S. Government and administered by IREX. The views and information presented are the grantee’s own and do not represent the U.S. Department of State, or IREX.